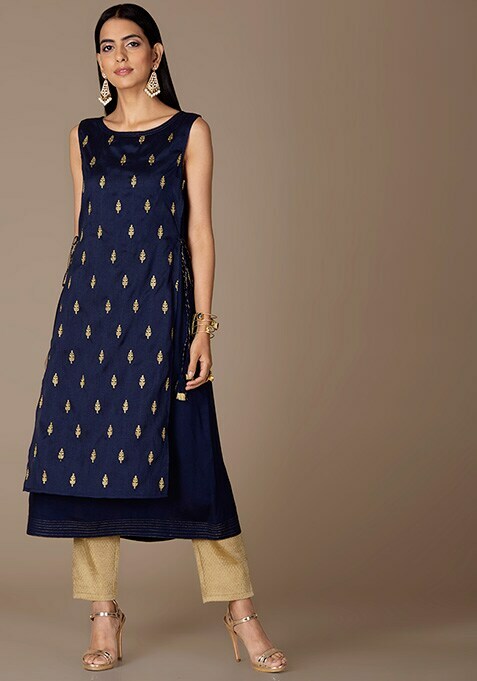 A classic wardrobe staple in navy blue exuding a traditional yet fresh vibe, perfect to be worn to a mehendi ceremony. Featuring gold embroidered motifs and round neck. Work It: Pair it with buttoned cigarette pants complete your look with dainty accessories.